WordPress 4.8 will be released soon, and when that happens, local events will show up in the dashboard! For more background, check out this post. This is really exciting! It’s going to be even easier for WordPress users to find out about events organized by meetup groups in the chapter program, as well as upcoming WordCamps. I’m really interested to see how this helps our community grow. Since not all of our community organizers follow Core developments, I think we should send an email to meetup and WordCamp organizers, letting them know they might see some new people at their events and why. 🙂 Those emails will go out today, via meetup.com to meetup organizers and from support@wordcamp.org to WordCamp organizers. I’ve also created a FAQ about the events widget, to help answer questions that might come up. ***EDIT: here’s the link to that FAQ: https://make.wordpress.org/community/wordpress-events-and-news-widget-faq/ *** I think we should link to it from the Big Blue Box at the top of this blog, but I’m very open to suggestions on that one. I’m also working on a FAQ for meetup organizers who are curious about joining the chapter program; we’ve answered enough repeat questions on that topic by now that I think we should just convert some of those standard answers into documentation. 🙂 If anyone wants to help me work on that, I’d be really pleased to get more input! Is there anything we haven’t considered? Please share your thoughts in a comment below! Hi Andrea! This is awesome. Is this also going to display Woo Meetups? Thanks. An email to the organizers is an excellent idea, Andrea. Especially because many pro users use dashboard-less interfaces (lack of a better term on my part) like ManageWP or InfiniteWP or FTP when they do their WordPress thing. Email to 1,208 meetup organizers = SENT! I played with the widget in the 4.8 RC. I can add a location manual but can’t remove it. If I leave the text field blank it can’t be submitted. So I can’t go back to the automatic mode. Would b great if I can use the widget to search for meetup in a place plan to go to soon, but after that go back to auto so it adjust to my current location. That’s a good point. There an undocumented way to do that; if you search for a location that isn’t found (e.g., narnia) then it should clear the previous location. It’d be good to design a formal way to do that, though. I can also delete the usermeta field, but that’s quite a nerdy way. 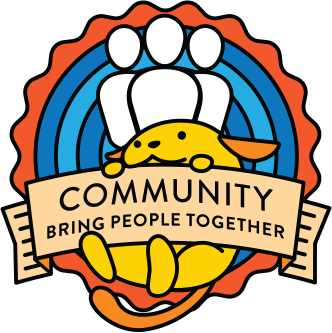 This is going to be a great tool for all of us community organizers to spread the words about our community events to all the potential users. Specially who doesn’t know where a WordPress event is going on, in his/her city! I’ve already posted the news to our meetup group discussion board and sent the same email to all the group members. I’m very much excited for this new patch. Great idea. Thanks. And what about independent meetup about WordPress. How can we appear in the widget? 1) Organizers who have chapter account meetup groups have agreed to follow our short list of good-faith rules (created by a team of community volunteers), so there’s more assurance that their events will match the standards of promotion on wordpress.org. Thanks a lot for your answer. I’ll talk with other members of wpparis. I’ll be at WCEU this year in Paris. And you? I was so excited to see our next meetup listed there, I took a screenshot and posted it to Twitter.